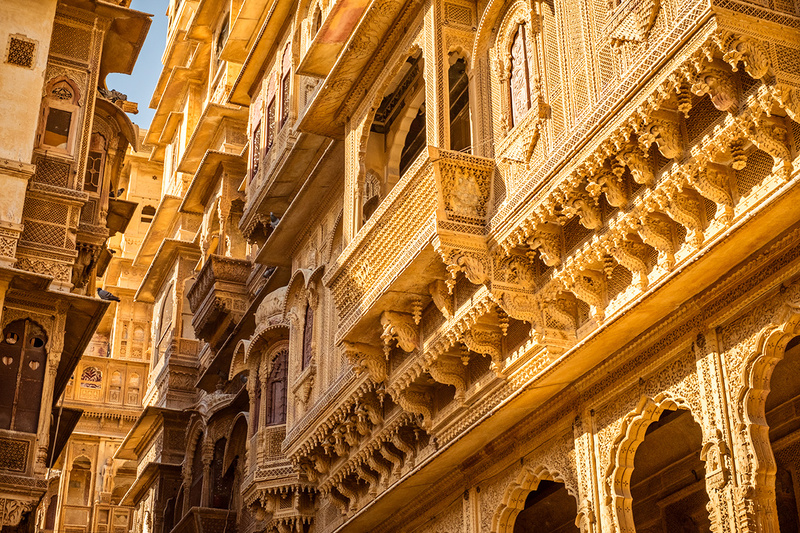 The golden city of Jaisalmer is a labyrinth of stone and sunlight. Its greatest feature, the Jaisalmer Fort rises out of a hill, rolling through the cloudless sky with a wave of curved outer walls. Built from yellow sandstone, it glows in the heart of Thar desert.